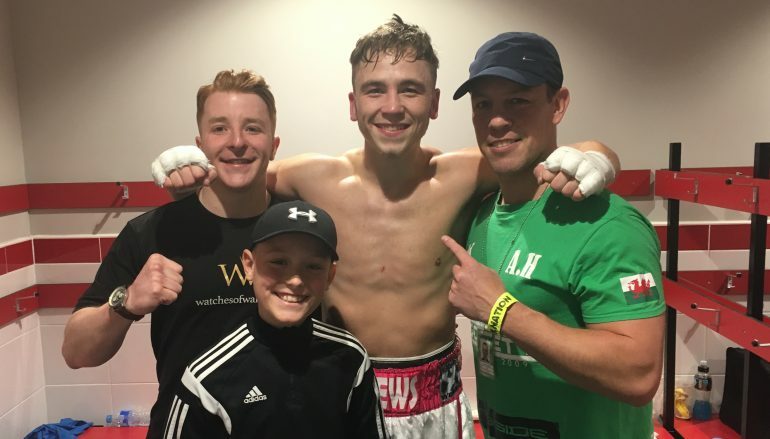 Maerdy’s Alex Hughes (10-0, 4KO) hasn’t been seen in a ring for 19 months but he’s back from the sidelines and ready to put an injury nightmare behind him. 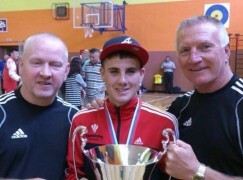 The 24-year-old features on British Warriors’ ‘Young Guns’ show at the Llandarcy Academy of Sport on Saturday 17 November. 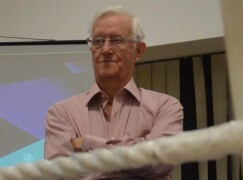 The 11th appearance of Hughes’ professional career is an occasion he once feared may never happen. A serious eye injury threatened to curtail his time in boxing, later requiring a significant operation and rehabilitation process. “To be honest with you, I thought my boxing career was in tatters,” said Hughes. “The job the surgeon done on it was incredible and even she is surprised how well my eye has come back to 100%. “I had the operation in April and I didn’t start sparring until late September. I wanted to make sure the eye was completely 100% before I sparred and Gary [Lockett – trainer] wouldn’t let me anywhere near a ring. “Part of me that wanted to take a shot to know I can but then there was the other side of it, wondering if I’ve come back too soon. It took me a while to get used to shots coming at me when I started sparring because it’s been a while since anyone has thrown a shot at me. ‘Bad News’, as the Rhondda native is nicknamed, was last seen between the ropes in April 2016. 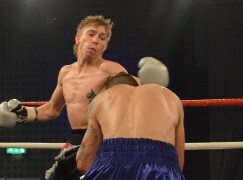 On that occasion, Hughes scored a first round knockout of the usually durable Daniel Urbanski (21-19-3, 5KO) in Leicester. Hughes is keen to kick on under long-term trainer Gary Lockett, which is why the Welshman returns from his extended absence against an ambitious opponent with a winning record. 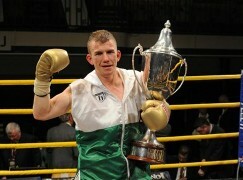 He will face County Durham’s Greg O’Neil (6-4, 1KO) on Saturday. “I want to push on from where I left off,” said Hughes. “O’Neil has a winning record and I know he’s coming to win. It’ll be a good test for me. Hughes, who turned professional back in 2014, is ready to shake off the ‘prospect’ tag. He hopes his new management handlers lead him to major domestic honours and opportunities could come in the very near future. “There’s talks of a Commonwealth title fight next year. I’ve signed with Mo Prior [manager] and his fighter Elliot Matthews (21-0-1, 9KO) is fighting for it on 30 November. 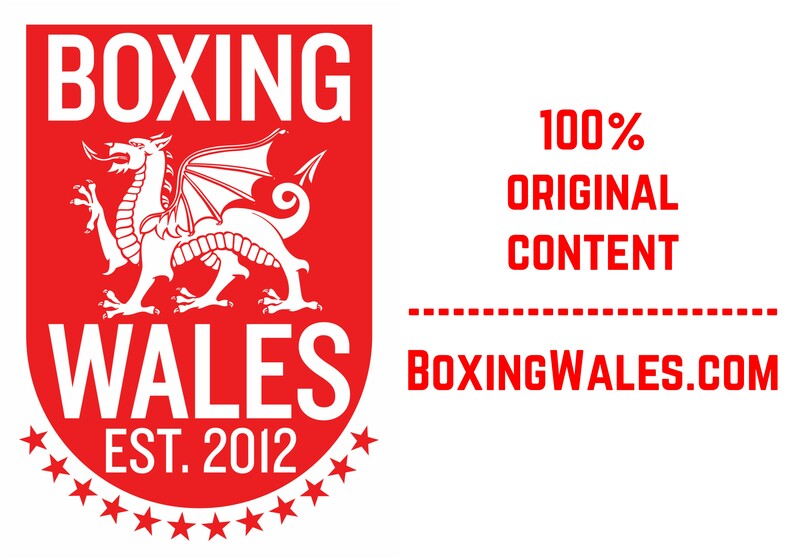 Welsh middleweight honours haven’t been up for grabs since Swansea’s Chris Ware overcame Cardiff’s Frankie Borg in their 2015 war. However, the belt has been subject to some heated debates in recent months. Port Talbot’s Geraint Goodridge (2-5-3), Newport’s Daniel Barton (3-0, 2KO) and Ammanford’s Jake Anthony (3-0) have all put themselves in the picture to revive the title, though Hughes is keen to stress that the trio of contenders should be a quartet. “I haven’t looked too much in to any of them,” admitted Hughes. “I don’t know a lot about them but if the opportunity comes up to fight for a Welsh title, of course I’d jump at it. It’s not top of the list [of priorities]… but don’t leave me out of the equation! Tickets for British Warriors’ ‘Young Guns’ show at the Llandarcy Academy of Sport on Saturday 17 November will be availavle on the door. The lineup includes; Lance Cooksey (7-0, 1KO), Jake Anthony (3-0), Maredudd Thomas (3-0, 1KO), Jacob Robinson (3-0, 2KO), Craig Woodruff (5-4, 2KO), Angelo Dragone (1-0), David White (1-1) and debutant Jacob Lovell.